The right cat diet is essential for good feline health. During your cat's life cycle they will require different diet and nutrients. The life cycle of cats are kitten, adult and senior; if you have a female cat you can also include pregnancy and lactation. As a cat owner, you must identify the life cycle of your cat in order to provide the proper diet. Healthy cat diet. While choosing your cat's food, it is also important to read the ingredients listed by the manufacturer. They normally include information, such as flavor enhancers, artificial colors, and preservatives. Manufacturers also include information about animal source ingredients (e.g., meat, meat byproducts, or seafood), which will supply essential amino acids and fatty acids. A cat diet should also include nutrients, such as taurine, vitamins, thiamine, niacin, and others, which are necessary to balance the fiber content. Minerals such as calcium, potassium and phosphorus are essential to strong bones and teeth, as well as nerve impulse transmission, muscle contraction and energy metabolism. Magnesium helps with enzyme functions, muscle and nerve-cell membrane stability, hormone secretion and function. Manganese and zinc helps with bone development, neurological functions, cell replication, skin function, wound healing and protein and carbohydrate metabolism. Cat Diet must also include Copper. It helps with tissue formation, metabolism, blood cell formation, melanin pigment formation, myelin formation and defense against oxidative damage. Iodine and Selenium also plays a strong part on cat's defense against oxidative damage, immune response, thyroid hormone, and regulation of metabolic rate. Like us, cats require a natural balanced diet, their food shall contain ingredients to aid their digestion, high quality protein, vitamins and minerals. Poor nutrition can lead to health issues, such as irritable bowel syndrome, upset stomach and skin problems. A balanced cat diet is vital to the well-being of cats. There are several dry food manufacturers out there, so do your home work before you purchase any food. And always feed your cat as directed by the manufacturer. Please note, do not give your cat food intended for other animals or human foods, they contain ingredients that can harm your cat's health. As we mentioned, cats are creatures that like routine, so try to have a feeding schedule, same time and place every day. And remember to have a bowl of fresh water daily. Water is also essential to a healthy cat and replace fluids that are routinely lost through wast, digestion, circulation and respiration. Cats who eat only dry food don't get as much water from their food as those who eat canned food. So, if you feed your cat dry food only, be sure to have clean water available at all times. 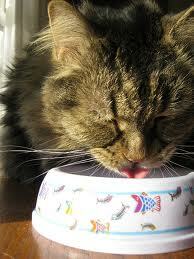 If your cat reduce the water intake or increases fluid loss, they will became dehydrated. Dehydration symptoms are: lethargy, loss of appetite, sunken eyes, dry mouth, depression, elevated heart rate, decreased skin elasticity, and panting. Dehydration can cause serious health complications, if you suspect that your cat is dehydrated, take him to the Vet immediately. Also keep your cat's food and water bowls clean at all times. 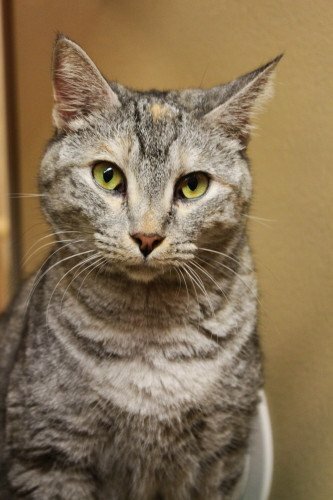 In addition to dry food, we also give to our cats canned food. It normally cost a little more than dry food, but it provides additional nutrients and it is a good dietary source of water. Be sure to follow the same steps you took to find a natural balanced and nutritious dry food, while searching for a balanced canned food for your cat. 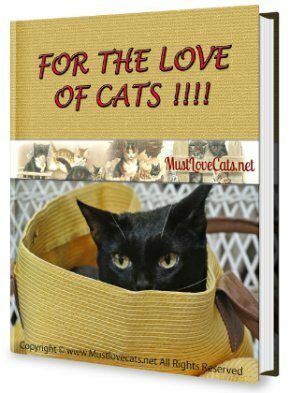 Click here, to learn more about cat diet and canned food. There are also homemade foods. Making your own cat food can be difficult and a time-consuming process. You would be the one responsible for adding and combining the correct nutrients, vitamins and minerals to the food you will be serving your feline friend. If you decide to make your own cat food be sure to get recipes from published sources and that are created by veterinarians certified in animal nutrition. Otherwise stick with cat food provided by reputable manufacturers that provide commercial nutritionally balanced products. Once you have determined which food provides a complete and natural balanced nutrition, you can try the types of food to meet your cat's taste and preference. Some cats like canned food, some like dry food, and some like a combination of the two. Feeding your cat two or three different cat foods provides flavor variety, and may prevent your cat from developing an exclusive preference for a single food. Please note, cats vary greatly in characteristics, some cats will consume different amounts of food to ensure optimal weight and health maintenance, than others. Do not overfeed your cat. Overfeeding can lead to obesity, which is the most common nutrition-related problem in cats. 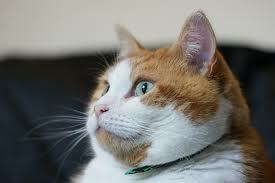 An overweight cat is prone to other health problems such as diabetes, heart disease, arthritis and urinary infection. If your cat is overweight, be sure to ask your Vet for help in changing your cat's diet, and increase your cat's daily activities. You can also give your cat treats. Always serve as directed by the manufacturer. We normally give our cats treats during our cat training sessions to reward them for doing good deeds and tricks. They love it! It is important that your cat eat natural healthy foods. If your cat suddenly stop to eat it can lead to serious medical problems, or it can be a sign of some form of illness. If your cat show lacks appetite or refuses to eat please contact your Vet. 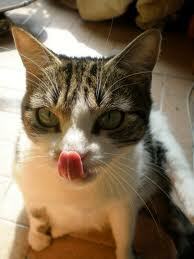 By feeding your cats with a nutritious and balanced diet they will live a long and healthy life. The Association of American Feed Control Officials - AAFCO, does not regulate, test, approve or certify pet foods in any way. AAFCO is a voluntary membership association of local, state and federal agencies charged by law to regulate the sale and distribution of animal feeds and medications. Although this association has no regulatory authority, they establish the nutritional standards for complete and balanced pet foods, and it is the pet food manufacturer's responsibility to formulate their products according to the AAFCO standards. While searching for a balanced and nutritious food, make sure that the manufacturer you selected meets the AAFCO standards for a balanced cat diet. A nutritious, balanced diet is essential to keeping your cat healthy! For more information about AAFCO nutritional standards click here. Why buy pet supplies online?